Although the weather is getting colder, there's plenty to see and do in November in St. Louis. You can attend the annual film festival, see a theatrical performance, take in a concert, or even explore some great holiday events and Christmas light displays that light up at the end of the month. 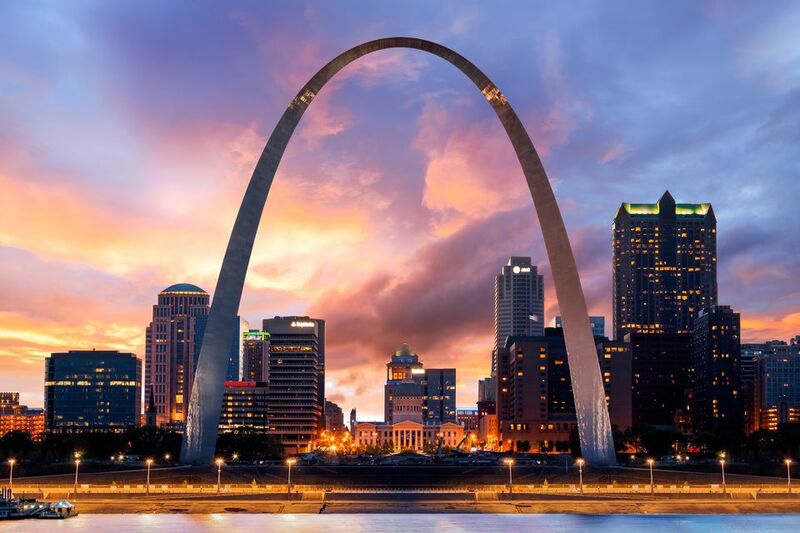 Whether you're in town visiting family, on a business trip, or just vacationing in the Gateway to the West, there's something for everyone to see and do in November. However, before you go, make sure you know what to expect from the weather so you can properly pack for your travels—you don't want to be caught without a jacket this time of year as temperatures stay between 34 and 53 F, on average. While the beginning of November is still relatively warm in St. Louis—with daily highs between 56 and 63 F for the first half—highs dip down into the lower 50s and upper 40s by the end of the month. Similarly, average daily low temperatures from November 1 through 15 range between 40 and 45 F while they dip down between 34 and 39 for the rest of the month. Although it doesn't rain much in St. Louis at any particular time of the year, November sees one of the highest amounts of rain in the city each year with an average total of 3.5 inches over the month. While some rain storms may be brief this time of year, you can expect to see rain about nine or 10 days out of the month. Moreso than the rain, you may have to worry about occasional wind gusts this time of year, which have reached speeds of up to 37 miles per hour. The key to being comfortable in St. Louis during your November trip to the city is knowing how to layer your clothing and be prepared for sudden changes in the weather. Long-sleeved shirts and sweaters (or hoodies) are essential for the outdoor temperatures this month, but you may also need to bring a scarf and a warm hat to cover your ears and protect your sensitive skin from the wind chill. An umbrella and raincoat would also be helpful in the event of a fall rainstorm, and you might even need a heavier coat if you're prone to getting chilly. St. Louis International Film Festival (SLIFF): The Tivoli Theatre, Plaza Frontenac, and several other venues around the city host screenings for dozens of independent films, many of which include discussions with the filmmakers after the credits roll, from November 1 to 11, 2018. Owl Prowls: On November 2, 23, 25, and 30, 2018, the World Bird Sanctuary in Valley Park hosts these special sessions where a naturalist will teach visitors about owls and their unique calls. Then, everyone will a night hike through the grounds to see and call wild owls. Cranksgiving: An annual event sponsored by St. Louis Bicycle Works featuring hundreds of bicyclists collecting donations for Food Outreach, Cranksgiving begins on November 4, 2018, at 9:30 a.m. at the City Museum in the downtown area. Theater at the Fox: From November 7 to 25, 2018, catch "Aladdin: the Musical" or wait until November 30 for a one-night performance of "Hip Hop Nutcracker." The Way of Lights: Located just outside of the city in Belleville, Illinois, this annual installation allows guests to drive through over one million holiday lights spread out over a mile and a half. Gardenland Express: From November 18, 2018, to January 1, 2019, this annual flower and train show returns to the Missouri Botanical Garden and is open daily from 9 a.m. to 4 p.m.
Ameren Thanksgiving Day Parade: More than 130 floats, balloons, processions, and marching bands will take part in this annual event starting at 8:45 a.m. at the intersection of Seventh and Market streets in downtown St. Louis. Prices for flights and accommodations will go up around Thanksgiving; if you can, fly on the Monday before the holiday and return on the Sunday or Monday after to cut costs. Hotels around the Tivoli Theatre, Plaza Frontenac, and other venues for the SLIFF will book up during the entirety of the festival; so make sure you book in advance if you plan to travel during the first of the month. Wind gusts can make driving more dangerous; be cautious when driving on the highway during high winds, and make sure to look at the weather before you leave your hotel for the day to check wind speeds.